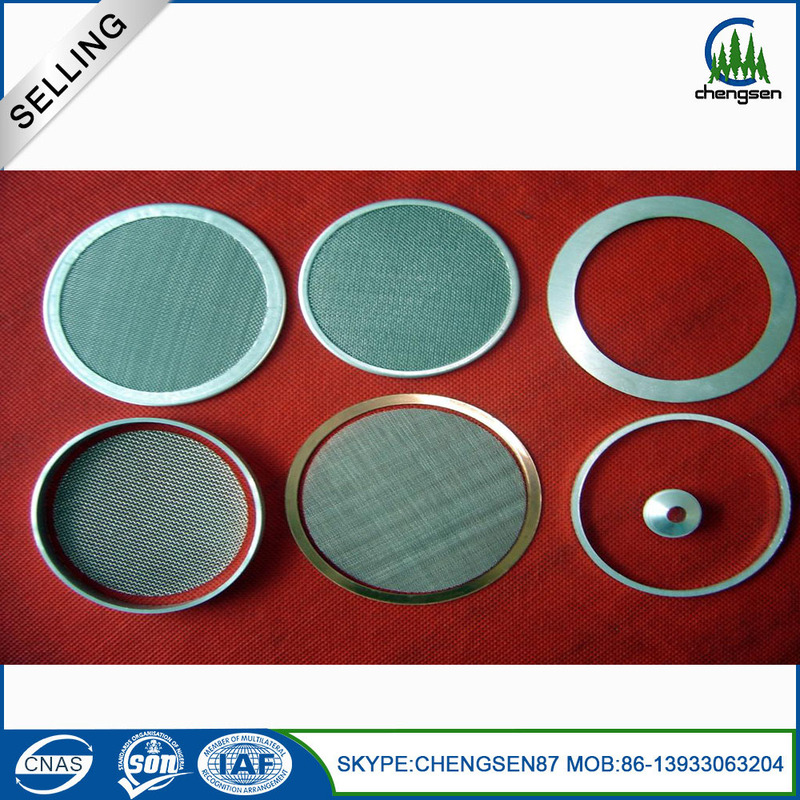 Filter Disc Shape: rectangle, square, round, oval, circular, cap, waist and abnormity. 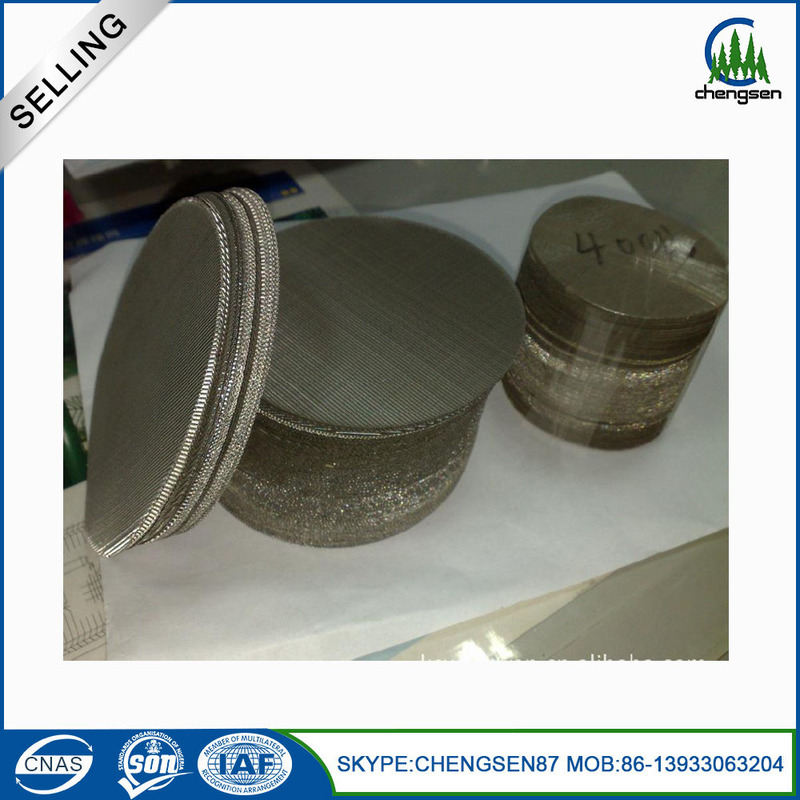 Process Technique: Spot welded, edge covering and sintered. 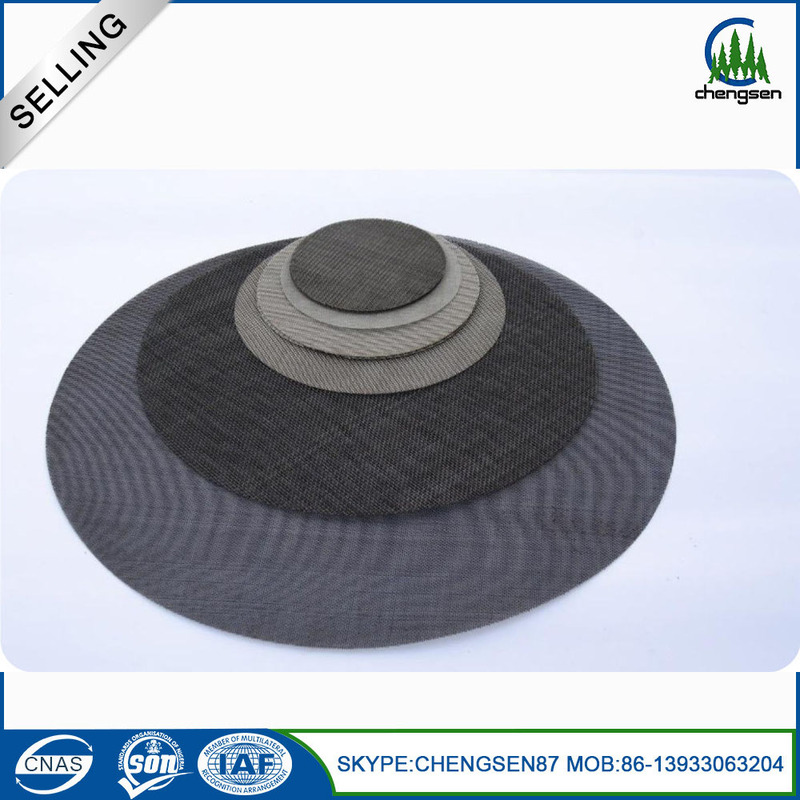 Material: stainless steel mesh, galvanized wire mesh, copper wire mesh, dutch weave wire mesh, black wire mesh, perforated metal mesh, nickel wire mesh, monel mesh, inconel mesh etc. 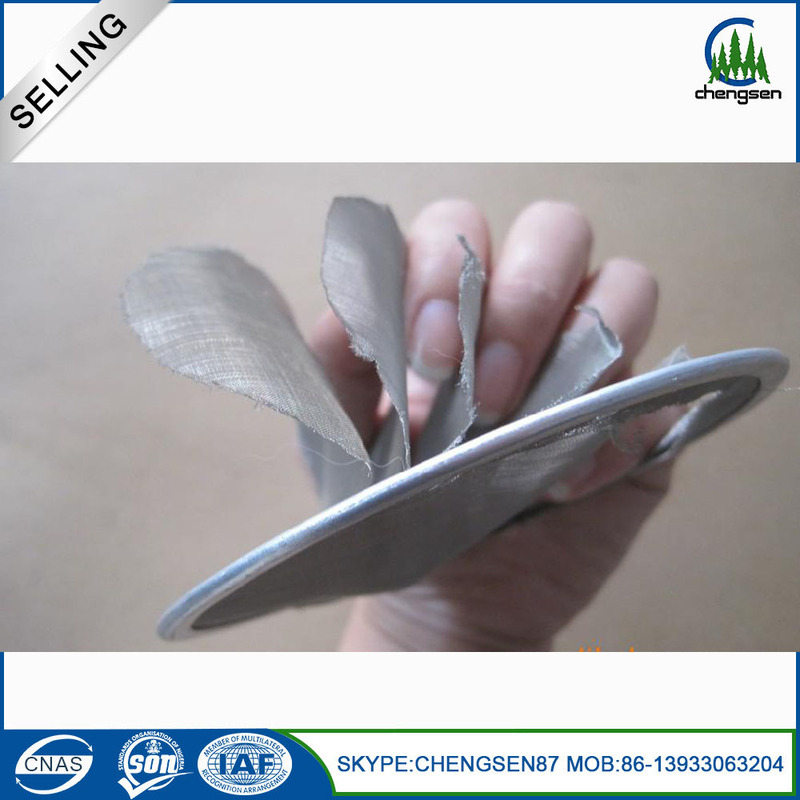 Edge Material: stainless steel sheet, copper sheet, galvanized sheet, aluminum sheet, low carbon iron sheet, rubber, plastic etc. 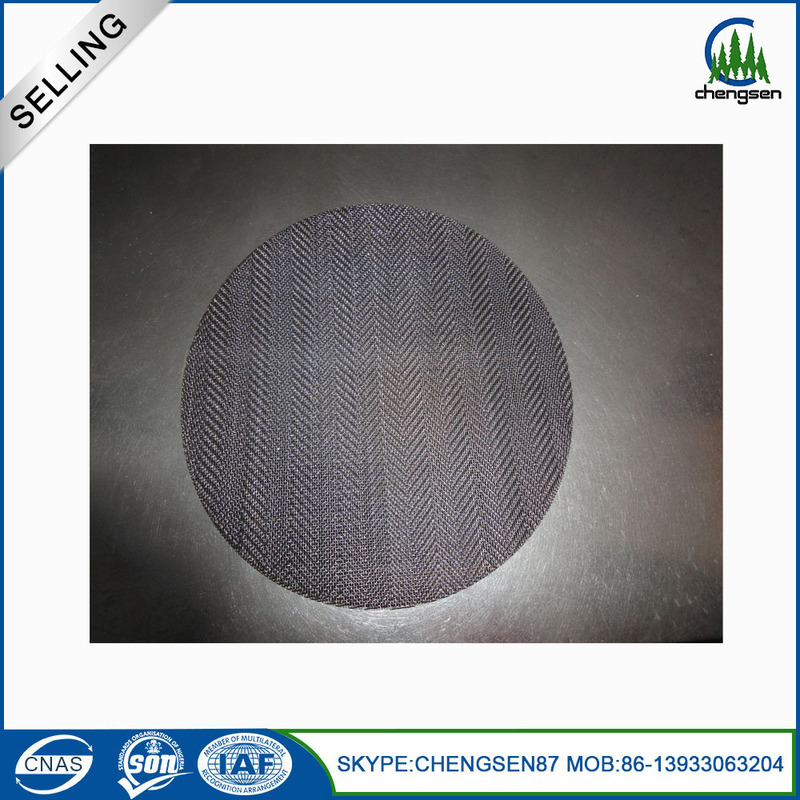 Wire mesh filter disc is mainly used in distillation, absorption, evaporation and filtration process of rubber, plastic industry, the screening of grain and oil, petroleum, chemical industry, light industry, medicine, metallurgy, machinery, shipbuilding and other industries.